02.01.2019 – Tbilisi, First Republic Square. New Year concert. 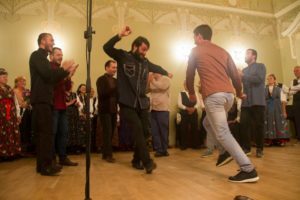 19.01.2018 – Tbilisi, National Parliamentary Library of Georgia, Evening of traditional Georgian polyphony of Tuta. 07.02.2018 – Bowling championship between Folk choirs. 05.05.2018 – Mtskheta, Culture centre “Sveti”. Solo concert – “Baghia Chveni Kveqana” festival. 16.06.2018 – Mestia, Museum. Solo concert – “Baghia Chveni Kveqana” festival. 20.06.2018 – Tbilisi, Eco Garden. Presentation of the CD “Songs That Move Mountains”. 05.07.2018 – Paduaa, Italy. Solo concert. 07.07.2018 – Treviso, Italy. Festival MICROMACRO G FEST 2018, Workshop and Solo concert. 08.07.2018 – Treviso, Italy. Festival MICROMACRO G FEST 2018, Two Solo concerts. 09.07.2018 – Venice, Italy. Solo concert. 11.07.2018 – Trieste, Italy. Solo concert. 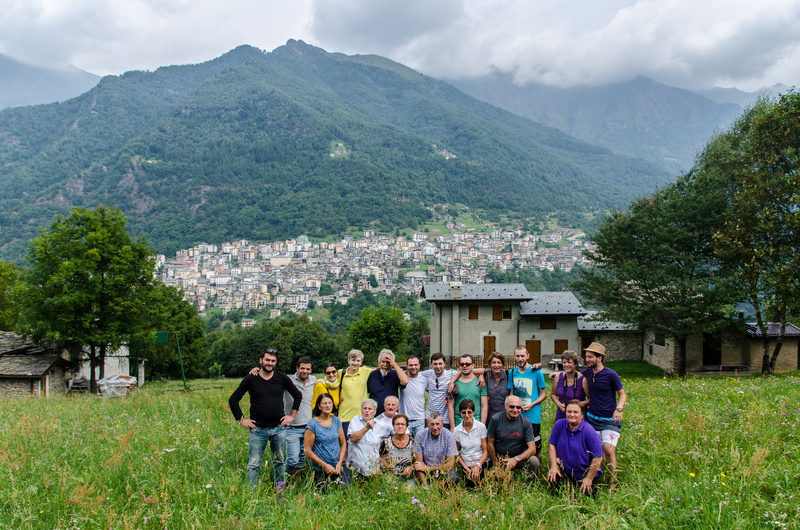 15.07.2018 – Premana, Italy. Presentation of the CD “Songs That Move Mountains”. 17.07.2018 – Verona, Italy. Solo concert. 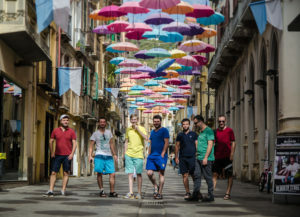 29.07.2018 – Akhalkalaki, Solo concert – “Baghia Chveni Kveqana” festival. 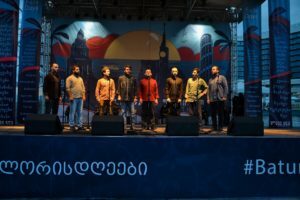 03.08.2018 – Batumi, Festival “Folklore Days” Concert with “Bermukha”and “Khikhani”. 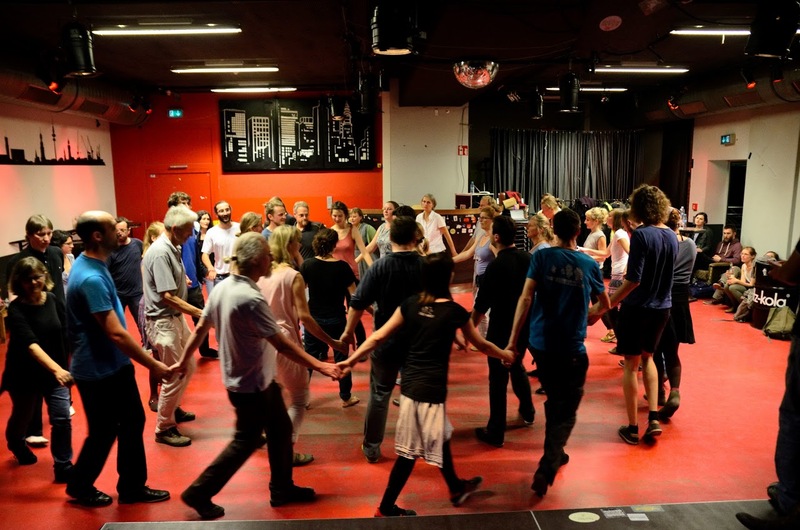 01.09.2018 – Khulo, Drama theatre. 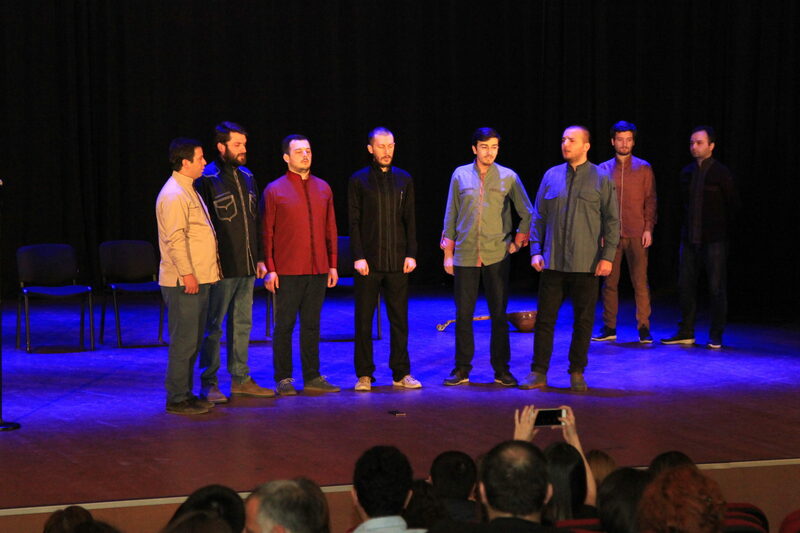 Solo concert – “Baghia Chveni Kveqana” festival. 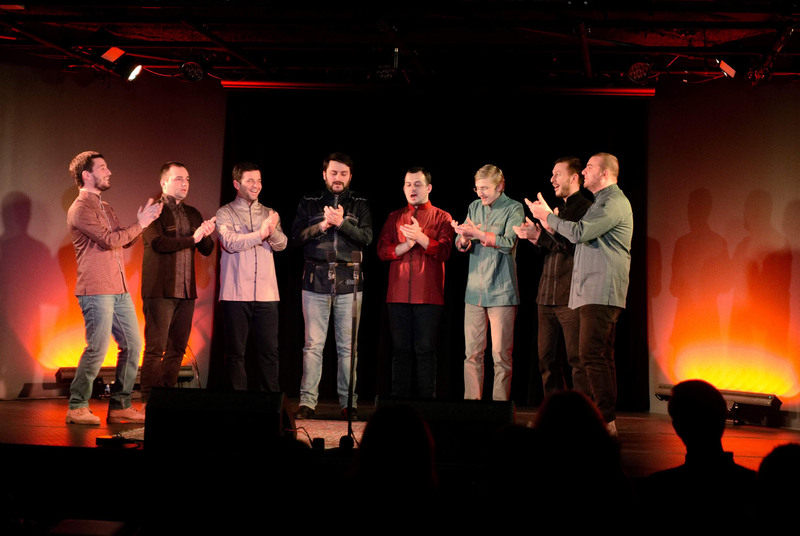 02.09.2018 – Shuakhevi, Culture centre. 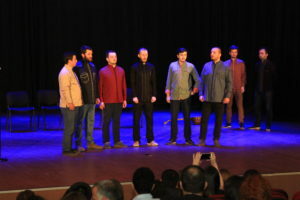 Solo concert – “Baghia Chveni Kveqana” festival. 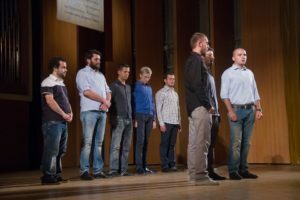 03.10.2018 – Tbilisi, Grand hall of Tbilisi conservatoire, IX International Symposium on Traditional Polyphony. Gala concert. 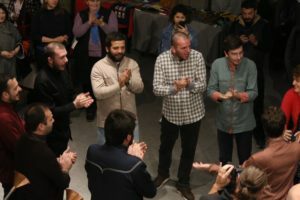 04.10.2018 – Tbilisi, Vineria, GIFT festival. Concert with “Ialoni”, „Tenore Murales“ and „D’AltroCanto Duo“. 03.12.2018 – Tbilisi, Courtyard Marriot. Georgian-Korean friendship day. 11.01.2017 – New York, Jalopy Theatre. Concert. 14.01.2017 – New York, “Zlate Uste Golden Festival”Concert . 15.01.2017 – Philadelphia, Za palace. Solo concert. 17.01.2017 – Hanover, Dartmouth University. 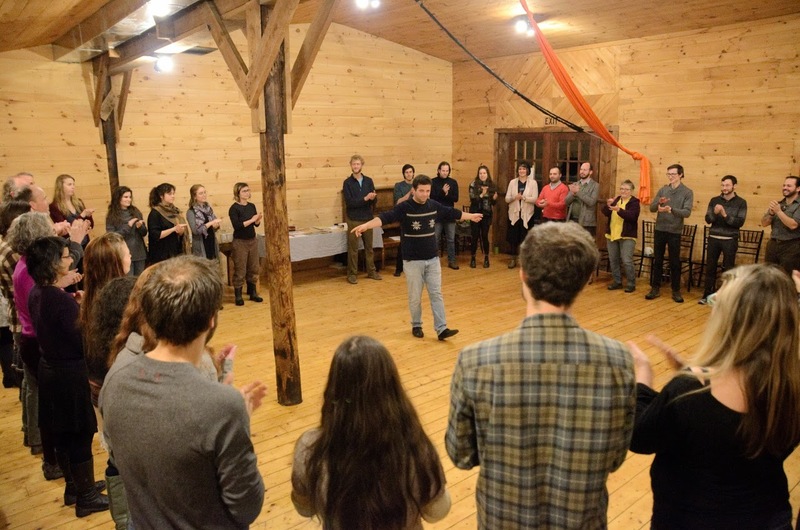 Seminar about Georgian Folk Singing. 18.01.2017 – Ashfield, Double Edge theatre. Workshop of Georgian singing. 20.01.2017 – Portsmouth, 3S Artspace. Solo Concert. 22.01.2017 – New Haven, Yale University. Workshop of Georgian singing. 24.01.2017 – New York, Columbia university. Workshop of Georgian singing. 25.01.2017 – New York, St. Luke’s Episcopal School. Solo concert. 25.01.2017 – New York, Columbia University. Panel on the Discourse of Authenticity in Georgian Folk Music Performance. 25.01.2017 – New York, Columbia University. Glicker-Milstein Theater. Solo concert. 26.01.2017 – New York, Barbes. Solo concert. 27.01.2017 – New York, Jalopy theatre. Solo concert. 28.01.2017 – Shepherdstown, Presbyterian Church. Solo concert. 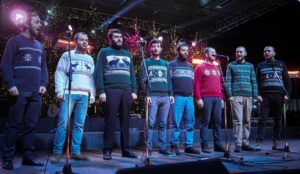 29.01.2017 – Washington DC, Workshops of Georgian singing. 30.01.2017 – Waltham, Brandeis university. Seminar about Georgian folk singing. 30.01.2017 – Boston, New England Conservatory. Solo concert. 01.02.2017 – Middletown, Wesleyan university. Workshop of Georgian singing. 02.02.2017 – Middletown, Wesleyan university, Memorial Chapel. Solo concert. 04.02.2017 – New Orelans, Music Box Village. Concert with Trendafilka. 05.02.2017 – New Orelans, Tigermen Den. Workshop of Georgian singing. 05.02.2017 – New Orelans, Café Istanbul. Concert with Blato Zlato. 07.02.2017 – New Orelans, Trinity Episcopal Church. Concert. 08.02.2017 – Atlanta, Workshop of Georgian singing. 09.02.2017 – Atlanta, Holy Trinity Parish. Solo concert. 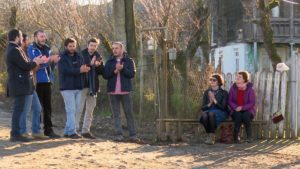 10.02.2017 – Asheville, Westwood Cohousing Community. Solo concert. 11.02.2017 – Asheville, Westwood Cohousing Community. Workshop of Georgian singing. 03.03.2017 – Zugdidi. 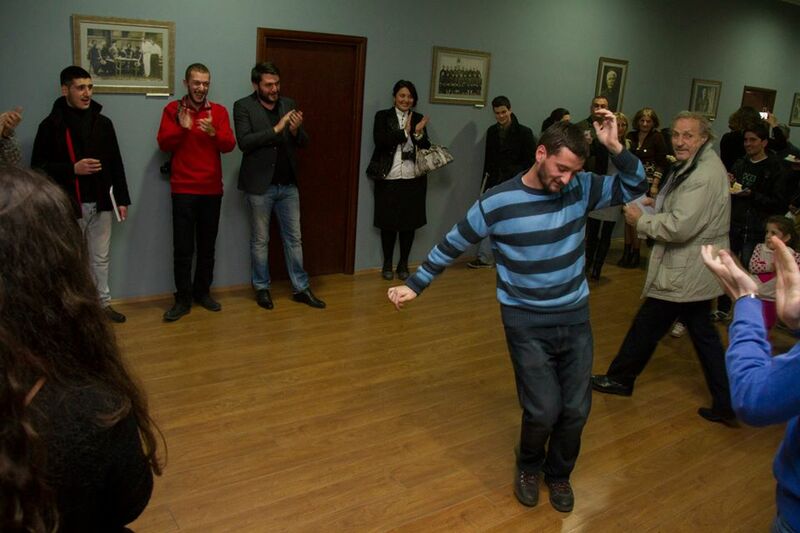 Meeting with the elder members of ensemble “Odoia”. 19.03.2017 – Tobanieri. Meeting with old local songmasters. 02.06.2017 – Tbilisi, Grand hall of Tbilisi conservatoire. Concert dedicated to 100 year anniversary of Tbilisi Conservatoire. 5.05.2017–15.05.2017 – Tour in Italy. Concerts and Workshops. 25, 26, 28.06.2017 – Tbilisi, Grand hall of Tbilisi conservatoire and club 33a. Telavi. Project Made in Georgia. 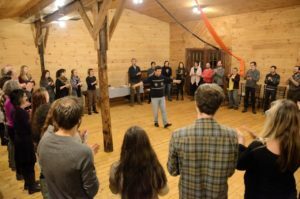 20.07.2017 – 03.07.2017 – Adilei folk singing learning tour. 12.08.2017 – Batumi. Concert with Turkish choir “Anchorus”. 01.09.2017 – Ureki. International Black Sea Folklore Festival. 04.09.2017 – Tbilisi, Conservatoire Recital Hall, Concert with Premana Choir. 05.09.2017 – Tbilisi, Grand hall of Tbilisi conservatoire, European Ethnomusicology Seminar , Folk Music Concert. 08.10.2017 – Brussels. Concert with “Anchiskhati Choir”. 08.10.2017 – Antwerp. Concert with “Anchiskhati Choir”. 17.01.2016 – Tbilisi, Conservatoire Recital Hall. concert dedicated to Christmas. 26.03.2016 – Tbilisi, Conservatoire Recital Hall. Meeting with pianist Lisa Leonskaja. 14.04.2016 – Tbilisi, State Museum of Georgian Folk Music and Musical Instruments. Khukhunaishvili evening. 17.04.2016 – Tbilisi. Live broadcast fro NYC concert. 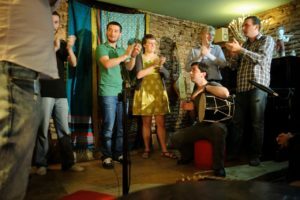 22.05.2016 – Tbilisi, “Zoestan”. Solo concert. 03.06.2016 – Tbilisi, TV “Ertsulovneba”. Concert with Yale Slavic Choir. 19.06.2016 – Batumi, Solo concert – Hit Batumi 2016. 29.06.2016 – Tbilisi, Rustaveli theatre. National festival of Folklore, Final Concert. 24.07.2016 – Ozurgeti, Philimonoba 2016. 13.08.2016 – Vil. Mtispiri, Solo concert. 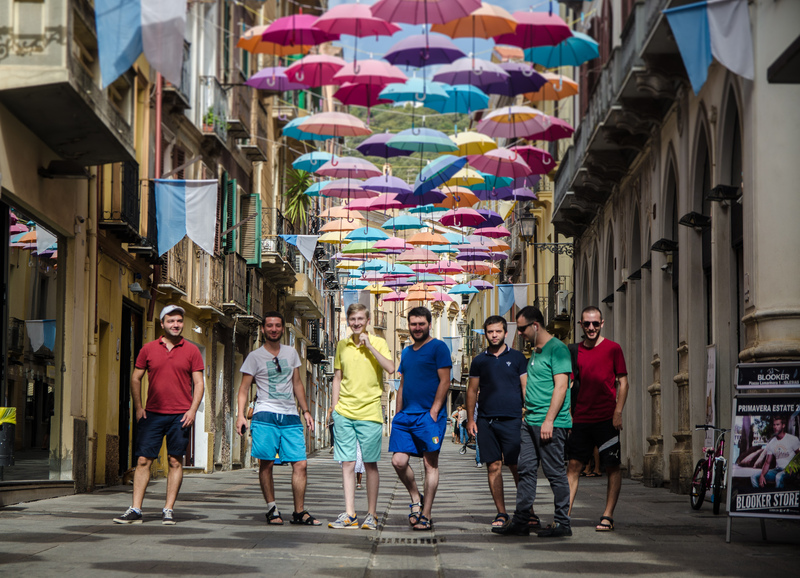 30.08.2016 – Iglasias, Cagliari. Cattedrale di Iglesias. Ecclesiastical music concert, festval Mare e Miniere. 31.08.2016 – St. Antioco, Cagliari. Basilica di S.Antioco. Ecclesiastical music concert. Festival Mare e Miniere. 03.09.2016 – Premana, Ethographic Museum. 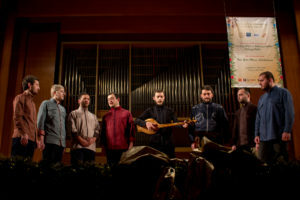 Concert of Georgian and Italian traditional music with Premana choir. 4.09.2016 – Sueglio, chiesa di S. Martino. 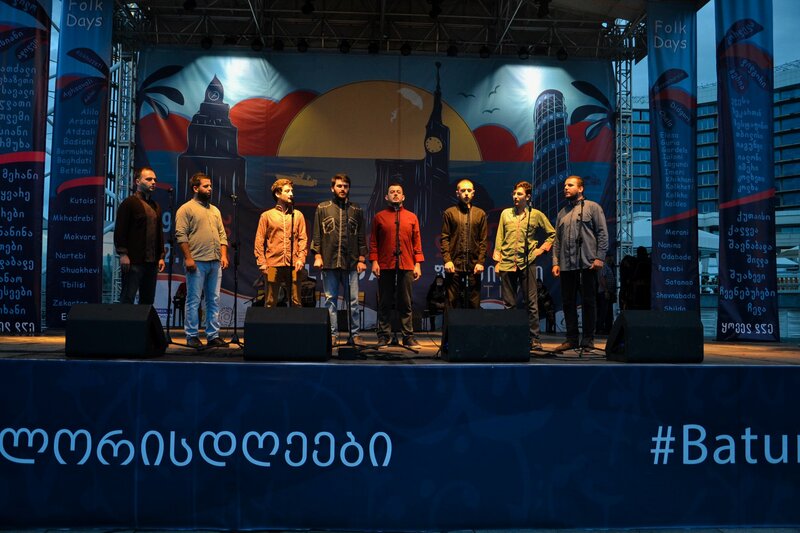 Concert of Georgian and Italian ecclesiastical music, with Premana Choir. 24.09.2016 – 26.09.2016 – Hamburg. A concert and a workshop. 29.09.2016 – 01.10.2016 – Bad Bodenteich. Concert. 02.10.2016 – 05.10.2016 – Cologne. Concerts and a workshop. 06.10.2016 – 10.10.2016 – Munich. Concerts and a workshop. 11.01.2015 – Tbilisi, Conservatoire Recital Hall. concert dedicated to Christmas. 10.05.2015 – Kaspi. Easter concert. 18.05.2015 – Tbilisi, National Parliamentary Library of Georgia. Opening of Mobile Audiolibrary. 24.05.2015 – Tbilisi, „Zoestan”. Solo concert. 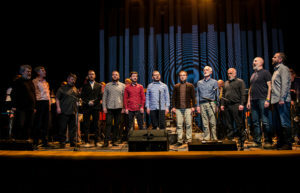 27.05.2015 – Tbilisi, GTU hall. 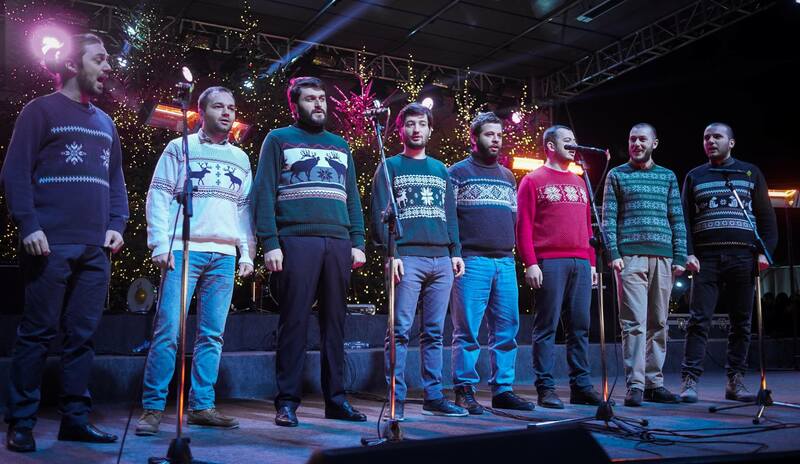 Charity concert for Ketevan Nagervadze. 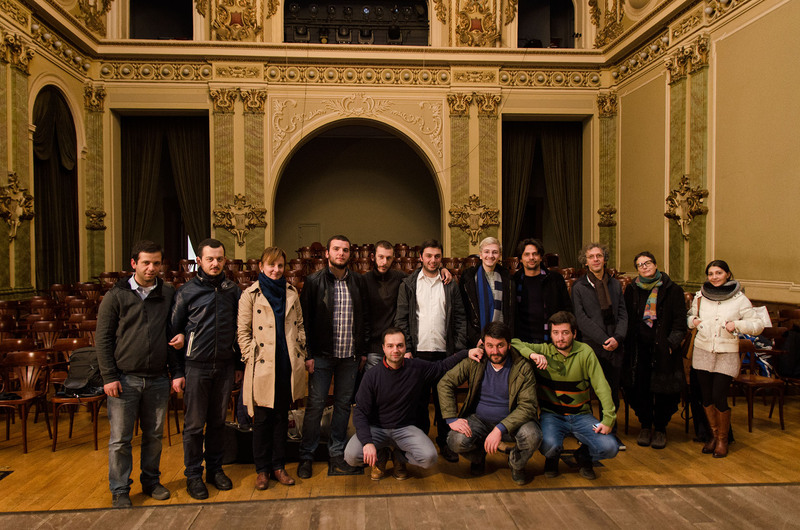 16.06.2015 – Tbilisi, Grand hall of Tbilisi conservatoire. Charity concert for the victims of June 13, 2015. 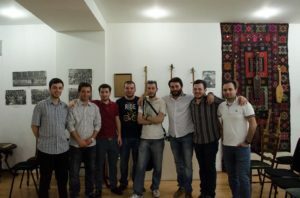 24.07.2015 – Ozurgeti, Philimonoba 2015. 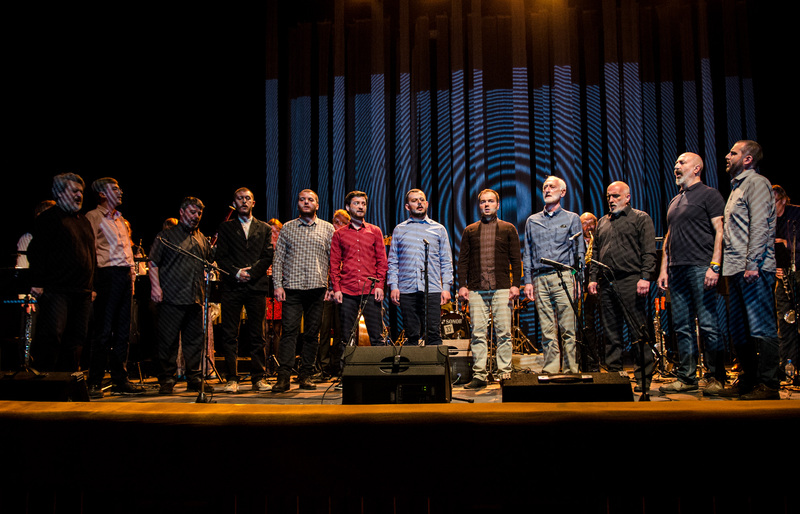 01.12.2015 – Tbilisi, Rustaveli theatre. Meeting with Sergio Azzolini. 18.05.2014 – Tbilisi, State Museum of Georgian Folk Music and Musical Instruments. Evening dedicated to Manana Shilakadze. 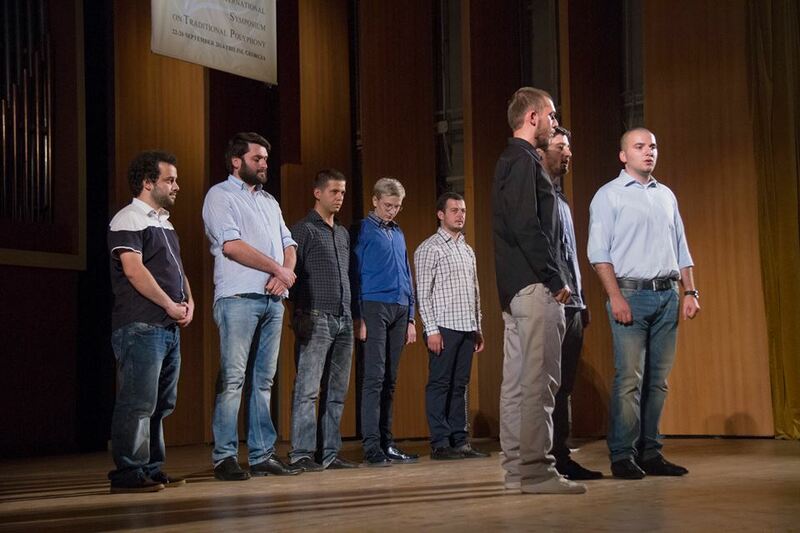 29.05.2014 – Tbilisi, Conservatoire Recital Hall. concert of Young Ethnomusicologist Conference. 30.10.2014 – Tbilisi, State Center of Folklore. Evening dedicated to Giorgi Salukvadze. 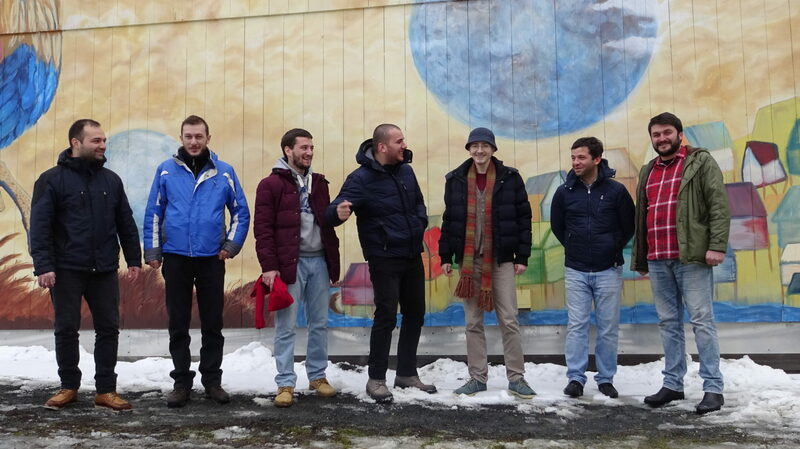 12.12.2014 – Rustavi, V womens’ penitentiary. Solo concert. 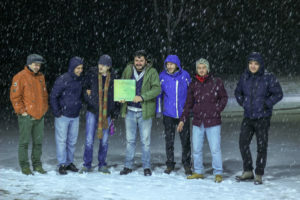 18.12.2014 – Tbilisi, SANGU. concert.